Click here to view a complete wiring diagram for the Honda Ruckus and Zoomer scooters. This schematic was designed specifically for the 2003-2005 models but is useful for others, too. If you need the factory or dealer’s service manual, click here. Ruckus runs fine – No Electric Starter – When I remove relay instument and tailight cease to function but electric starter then functions – Yes I am depressing both brakes. Where do I look? We have a 09 ruckus, the ignition switch is removed and replaced with a toggle. Currently every part of the frame has charge, electric start dose not work, and when the toggle is in the on position no accessory lights function but the horn dose…. Where are we wrong? I know I’m late to the party but you’ve got an open ground cable. Either the ground isn’t connected or the wire is so corroded that it cannot make the path to the battery. having the same problem. i replaced the battery and still nothing. did you eventually figure it out? 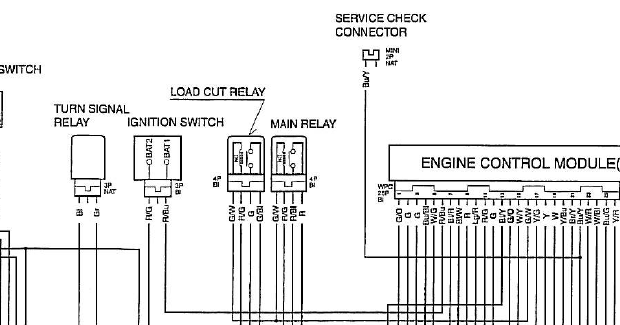 Can I bypass the safety switch so I don’t have to pull in break lever to start Ruckus? When should the Ruckus drive belt be replaced? Is the Ruckus your only bike? Where is the crankcase breather hose on the Ruckus? How often should you change the final drive gear oil? Does a Ruckus fit in the back of a 2002 Subaru Forester? E-mail: Should I buy a 2008 Ruckus? State-by-state: do you need a license for a Honda Ruckus? What is the Honda Ruckus top speed? Click here to visit the official Ruckus page on the Honda America website. Click here to visit the official Zoomer page on the Honda Japan website.